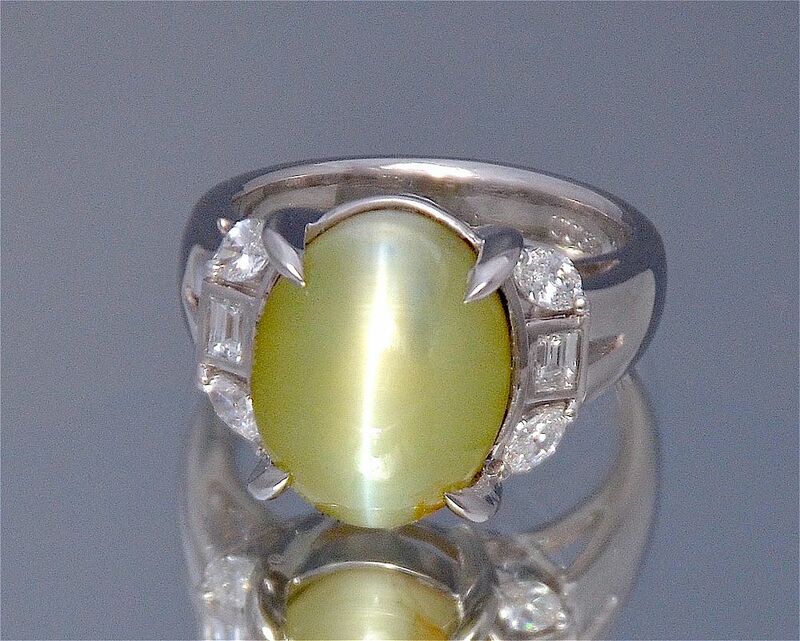 In the centre of this superb all platinum ring and set in 4 claws is a cabochon cut chrysoberyl cat's eye. Each shoulder is set with two marquise and one baguette diamond above a tapering shank that is marked for platinum. A very unusual and lovely ring - the cat's eye is superb.